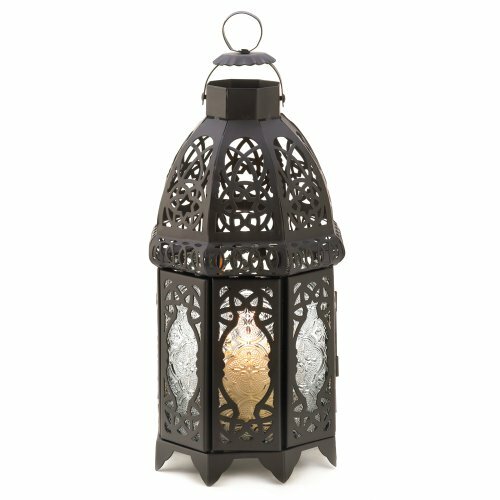 Magical patterns haunt the night, cast by the intricate panels of this stunning Moroccan marketplace lantern. Adds an instant touch of the exotic to everyday life. Weight 1.2-pound. Iron and glass. Candle not included. 5-inch diameter by 12-inch high.